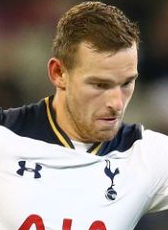 Vincent Janssen made a big move abroad when signing a 4-year contract at Tottenham Hotspur in July 2016. The top scorer of the Dutch league joined the Spurs from AZ in a deal worth around 22 ME. He was educated in the youth academy of NEC/Oss and Feyenoord before joining Almere on senior level. Just two seasons later, he moved to Eredivisie club AZ and crowned himself as top scorer of the Dutch league and winning his first international cap. His first season in England was a tough one with lots of competition. In September 2017 he was given the opportunity for more playtime signing a loan deal at Turkish club Fenerbahce Istanbul for the 2017-18 season.